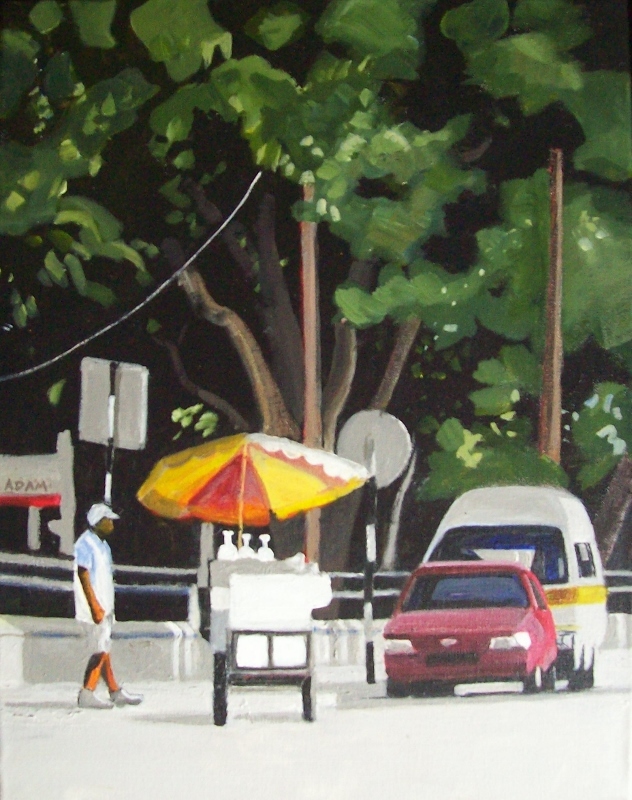 My "Sno-Cone Cart" in the recent ASTT Annual November Exhibition received the "Best in Show" award. It was totally unexpected and a great honour. The painting is from a photograph I took back in 2005. It's the first time I've painted a car for public viewing, something I wouldn't attempt without a photo reference because I'm clueless about cars. I've painted a couple more since then because they are everywhere in our lives. I'm actually getting to like painting them but doubt I'll ever be able to identify makes and models by sight. I'd quicker identify a bird or a flower, cars are a step too far! These two are on show in the ASTT annual November exhibition until November 22nd. There's an online catalogue for the exhibition here. 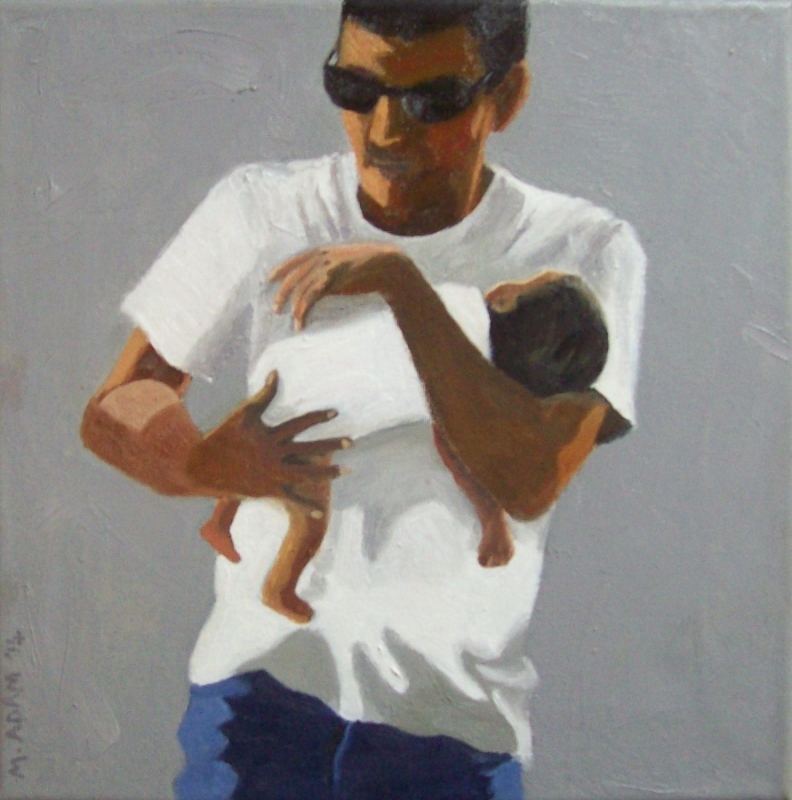 Untitled, 2014, oil on canvas 12 x 12 ins. Sno-Cone Cart, 2014, acrylic on canvas 18 x 14 ins.